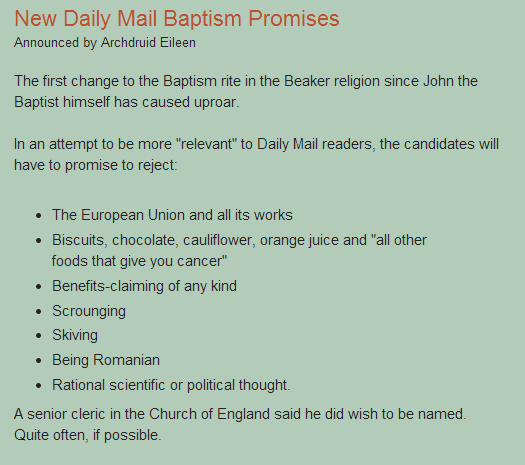 The Church of England is trialling new liturgy for Baptism services. You can take a look at the experimental liturgy here. and their rationale here. They are looking to provide materials that are "in culturally appropriate and accessible language." Brother Ivo's Blog - Social commentary as if religion really matters, states .... ”If you can’t reach, you can’t teach” and this is a useful contribution to this debate. 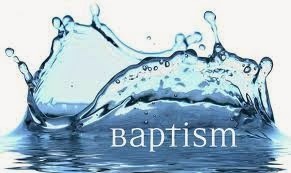 Brother Ivo argues that whilst the wording is important, the opportunity for visiting, discussing, befriending and explaining all things baptism is where the most fruitful work is done, as we "work with the grain of humanity". Other reactions include; waste of time, missed opportunity, dumbing down, compromise, worst of all worlds, a step forward, a step backward, an attempt at becoming more relevant, not perfect but a great improvement, more accessible, worth a try ....... and .... who really cares what the CofE are up to as long as they are not hurting anyone. In the C of E one in six children are brought for baptism by their parents. There remains a desire for the best, including the spiritual, with many families, who may well struggle in understanding the framework we place around what is precious to us. Sure, we know what it says, we know what it means, or at least we think we do, but what about those well-meaning, hopeful, questioning, enquiring people who would like to know more, and want more for their children, but find it all beyond their understanding? So how do we take the precious things of God and relate them to a world that is looking for more?